It has been months since my last post. I was procrastinating writing this for a long time and decided to write this finally. 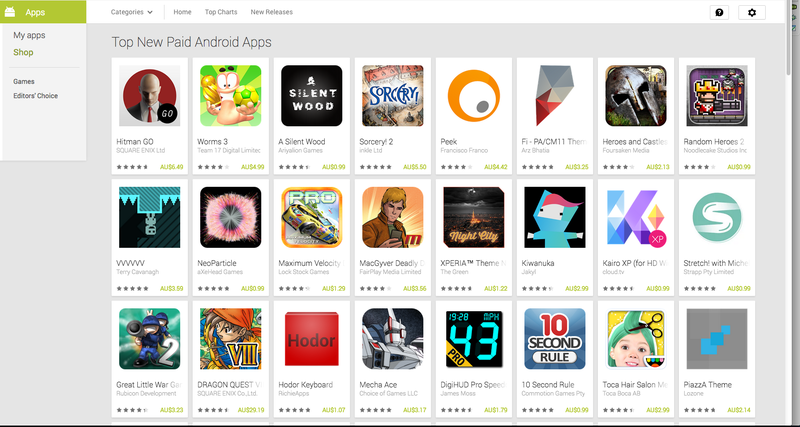 “A Silent Wood” became No 1 Top paid RPG app in Google play and made it to the third rank in top selling new apps as well. It went up to 37th RPG game in Apple Store. (all in US stores) It has got 843 ratings with 4.33/5 as average. So, let see how much each platform made. Google play Paid Version made $4465.71 and the free version with Multilingual Support made around $5. One day during the peak of “A Silent Wood”, I sold 435 copies. It was the day, my app was featured by Tim-o-tato on Droid-Life. I am very thankful to him. And, the paid iOS version which supports many languages, made $479.25 and the deleted free version made $307.07. The Amazon app store made no money at all (Sold only one copy so far). I spent around $450 on this app, for assets and translations. I used elance to find translators and proof readers. That investment on translation went totally useless. It had no impact on sales from the countries I targeted (which was almost nothing) . I got the app translated into French, German, Spanish, Portuguese, Japanese and Korean and knowing the nature of the customers in those country I created a free app with in app purchase to unlock more content. And, the result is hilarious, because No one bothered to even download that app. That means, around $400 went down the drain. Anyway, I got some good experience in communication and delegation. And, I got to meet some hard working, nice people. With this extra money in hand, I decided to do two things. First, I concentrated on getting a driving licence. However, I a wasted heaps of money on Driving Tutors and by failing the exams. After struggling over 10 weekends, I managed to get a licence. Now I want to help those new learners who make the same mistakes I did: Of course with some driving related apps. Let’s see how it goes. Secondly, I bought a return ticket to my home country. Therefore, I am going to be spending some time with my family this Christmas, after 3 years. It will refresh my mind. Thank you all who purchased my games. With the rest of the money I bough a Smart Camera and few Studio equipments (including professional Mic and lightings) to keep a youtube channel where I can post my learnings on Art and Illustration (That’s why I started this blog). I hope to start that soon because the requirement to produce content will drive me to draw often (I hope so). My first two games went unnoticed, though I believe that they deserve some recognition. Then A silent wood made some money that is a good return for the time invested. However, I am not sure if I write a new game, will it make any money or not . Anyway, please try my first games if you have time. I truly enjoy this game. I’m a tabletop gamer and enjoy focusing on story and decisions. One of my favorite games growing up was Humbug, the text game for PC. I think I was actually searching for a text game out of nostalgia when I found this. If you do ever want to write a game again, I’d love to collaborate on the story side of things. I’l definitely write to you when I come up with a unique game logic. You can contribute to the story of the game. 🙂 Thanks again. Cheers. Hello, I love your text-based game a lot. It really remind me of a dark room with tweaks. My dream job would be a mechanical engineer, and I would love to help you with design whenever I obtain a job in it. I would love to work with you someday. This game is based on ‘A Dark Room’. ‘A Dark Room’ is an open sourced game. So, you can use its engine to make a game and sell it as your own. I ported it to android and then a few weeks later, I added some tweaks. Then, I released an iOS version and translated versions. I wish you good luck with your dreams. As I was playing the game, I was thinking about something- why not add followers on A Dusty Path? You could pick up people who find your fighting skills worthy, and ask to join you in your battles as long as you take care of them? I just had this as a thought and I think it would be a cool add-on. Sorry, I totally missed out on this comment. I would be fun, however, it will require me to change a lot in the code. However, I am designing a similar game with bit of graphics.. It will have this feature. Thank you Artheus. I’ve played both A Dark Room and A Silent Wood, loved them both and enjoyed the little tweaks you did 🙂 I’m a young digital media designer, so I love all things about storytelling. I’d love to help contribute to any future story game ideas you have 😀 Looking forward to your next project!